Occupying the whole top floor of the apartment block, it comfortably accommodates 6 people in 3 bedrooms: (1 superking, 1 double and 1 twin) with 2 fully equipped kitchens, 2 living areas, 2 shower rooms and large floodlit roof garden with barbecue and patio furniture. Cot and high chair available. Bed linen and towels provided. Free unlimited high speed wi-fi internet, TVs, DVD & jukebox. 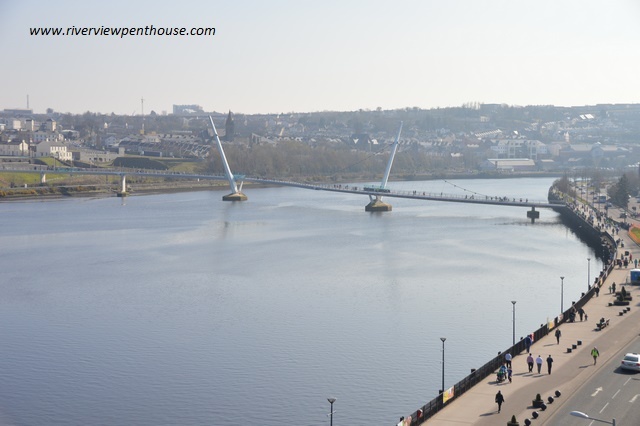 City centre, riverside walkway, historic city walls, theatre, cinema, nightlife, shopping centres, supermarkets and restaurants within walking distance. Option to rent as a 1 bedroom apartment also available. Occupying the whole top floor of the queens court apartment block, it comfortably accommodates 6 people in 3 bedrooms: (1 superking, 1 double and 1 twin) with 2 fully equipped kitchens, 2 living areas, 2 shower rooms and large floodlit roof garden with barbecue and patio furniture. Cot and high chair available. Bed linen and towels provided. Planning a corporate event - Contact us on 07759 882074 for availability.